Losing John Frusciante for a second time doesn't send the Red Hot Chili Peppers into a tailspin. By now, the Chili Peppers shed guitarists like a second skin, changing their outer layer but retaining their inner core. Such is the case with I'm with You, the band’s first album since 2006's Stadium Arcadium. If that double-disc was defined by its unwieldy sprawl, its songs spewed not sequenced, I'm with You is characterized by its focus, both within individual tunes and the songs as a whole. New guitarist Josh Klinghoffer -- veteran sideman and longtime pal of Frusciante who provided secondary guitar on the closing stretch of the Stadium Arcadium tour -- doesn't compete for center stage the way previous Peppers did. He doesn't strut, he weaves, disappearing so completely into the arrangements he doesn't seem to leave his signature despite the heavy layers of guitars on each cut. 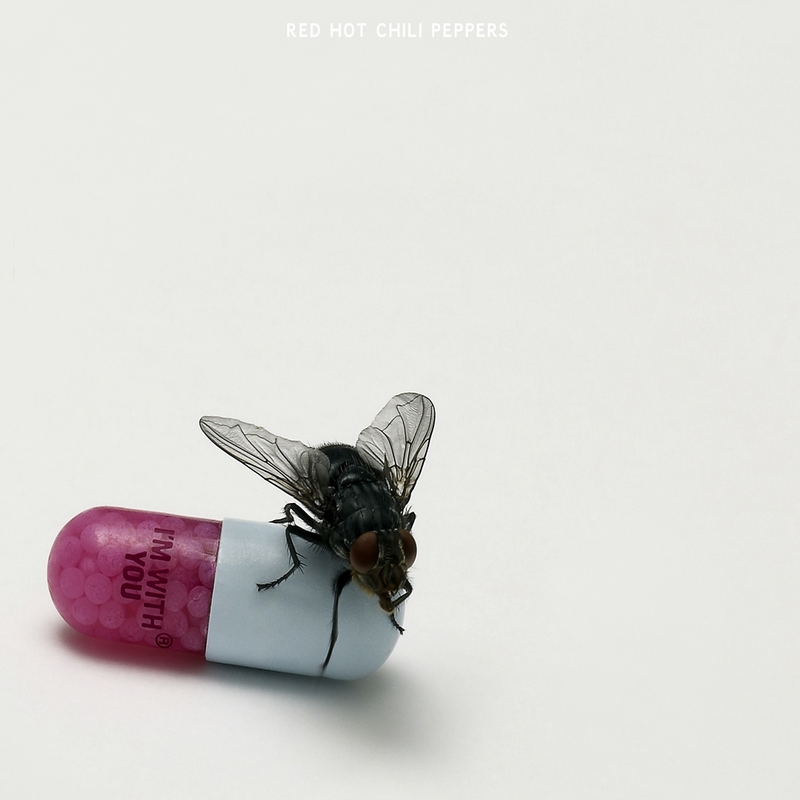 This makes I'm with You the flipside of One Hot Minute, where the Chili Peppers bent over backward to accommodate Dave Navarro: the Peppers don't miss a step, they almost seem relieved to be carrying on without Frusciante. Part of that could be due to a newfound musical elasticity, a reflection of Flea taking music theory classes at USC during the group’s half-decade gap between albums. Certainly a song like "Happiness Loves Company" -- half Beach Boys, half Kinks -- shows a compositional dexterity unthinkable for previous incarnations of the Peppers, but there’s no showiness here, the album is all about precision. This extends to Anthony Kiedis, who neither hams it up on the ballads nor goofs around on his raps, he merely serves the purposes of the song like the old pro he now is. Ultimately, the Red Hot Chili Peppers are served well by that professionalism; they're long past the point of proving themselves, they're no longer here for a party, they're rock & roll lifers, and I'm with You illustrates they can settle into maturity convincingly. Nathan, an error caused by an extraction software not being compatible with extracting a RAR file that was made with Win RAR 5.61 is not a password error nor does it pertain to one. A non exsistent password will not fix an incompatible software error. Read the disclaimer again on what to do. The information is there, clear as a crystal. If you still don't believe me, go to the FAQ's section. Scroll all the way down until you see "Corrupt/Unspecified errors" and you'll see various screenshots from other visitors who have claimed the same thing you have and proof that what we have written in our discliamer is 100% fact. I for the life of me will never understand how people can come to the conclusion that an extraction error message means that a password is needed to extract the file. If one were to actually read the error message, which we also have a screenshot of in the FAQs section, no where in that message does the word "password" appear.